On February 7th, Central High School will be hosting the FTC Philadelphia Championship. The event will be running from 7 AM to 6 PM. Robotics teams from around the city will be competing for numerous awards and hope to advance to States. 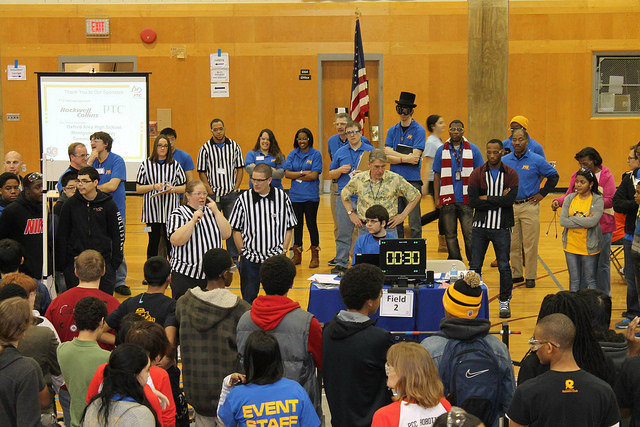 Last year Central had hosted the FTC Philadelphia Championship and many people had attended to watch the competition. This year we are hoping for more people to come and support the teams. We hope that you can come attend this exciting event. Go Crimson #6676 and Gold #5320!